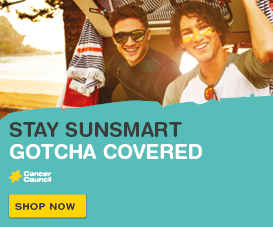 Pancreatic cancer is one of the top five causes of cancer deaths in Queensland and early diagnosis is vital to increasing chances of survival. November is Pancreatic Cancer Awareness Month and Cancer Council Queensland is raising awareness about the disease and associated challenges. Around 554 people are diagnosed with pancreatic cancer in Queensland each year and sadly most of these will die from the disease. Cancer Council Queensland CEO Ms Chris McMillan said only 10 per cent of Queenslanders survived five years after a pancreatic cancer diagnosis. “Tragically, pancreatic cancer remains one of the hardest cancers to detect and treat,” Ms McMillan said. “While there is currently no routine screening test for pancreatic cancer, and the causes are unknown, there are some factors that may put some Queenslanders at higher risk. “As with other cancers, aging is a risk factor, with pancreatic cancer occurring mostly in people over the age of 65. “Chronic inflammation of the pancreas (pancreatitis) and a family history of inherited cancer syndromes are also risk factors. Ms McMillan said Queenslanders should also be aware of the signs of pancreatic cancer, which can include pain in the upper abdomen, loss of appetite, nausea and vomiting, weight loss, jaundice and changed bowel motions. “If you or someone you love has any concerns or notice any changes, don’t delay talking to your general practitioner,” she said. 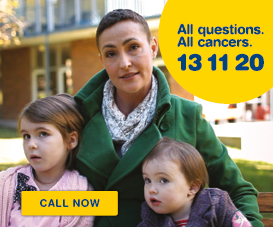 Queenslanders impacted by pancreatic cancer can seek information and support by calling Cancer Council’s 13 11 20, Monday to Friday between 9am and 5pm (excluding public holidays). “Patients can experience a range of changes and challenges following a diagnosis – emotionally, physically and practically – and we’re able to provide support,” Ms McMillan said. 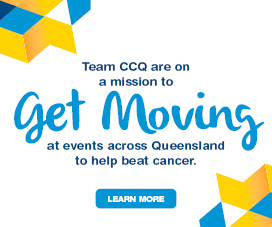 For more information about Cancer Council Queensland, visit www.cancerqld.org.au.